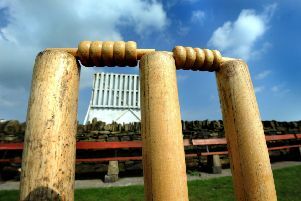 They left it late but Ashington bounced back after their comprehensive defeat at Swalwell the previous week to topple second placed Shotley Bridge at Langwell Crescent on Saturday. And after Matty Storey had been the surprise package for the Colliers with the ball as he took four wickets, it was Ben O’Brien whose match-winning unbeaten 56 steered his side to victory from the first ball of the final over. Cricket was the over riding winner as the teams served up a fascinating and absorbing contest in front of a healthy crowd. The visitors, who won the toss and elected to bat, had seemingly set up a solid base from which to build. They reached the halfway mark of their innings with 68 on the board with Kieran Milburn (30) the only casualty as he was caught on the boundary by O’Brien in the 19th over. But then the game changed in an instant as Anirudh Singh was on a hat-trick after having Peter Collingwood well pouched at deep mid-on by Matty Collins, then next ball O’Brien showed lightning reactions to take a sharp effort at first slip to send back Peter Carlin. However, the catch of the day went to Paul Rutherford, who left Lewis Hall stunned with a terrific one handed grab at mid-wicket off the bowling of Craig Wood. Matty Storey was then brought into the attack and played a key role to curb Shotley’s chase for runs. In only his second over he bowled Paul Greenwell for 22, then in his next uprooted Phillip Brown’s off-stump. Shotley tumbled from 76-1 to 112-6, and after an upsurge in the scoring, it was Storey who struck again in the 46th over with Singh running in from the long-off boundary before holding onto a good catch to dismiss Joe Gibson. Stefan Dabrowski, who had moved onto 26 was stumped by Daniel Grant, giving Storey a fourth wicket, and before the close the Colliers collected a ninth wicket with O’Brien holding onto his third catch of the innings as the Derwent Valley side closed on 158-9. Storey’s four wickets came at a cost of 34 runs from nine overs with Rutherford (2-31), Singh (2-38) and Wood (1-46) also successful, whilst Matty Collins produced amazing figures of seven overs, five maidens, nought for three. Ashington made a cautious start but shortly after Singh had come out of his shell, he was well caught at mid-on by Brown for 22. That reverse came in the tenth over and a period on consolidation began with Neil Wood and Simon Prudhoe at the crease and runs difficult to come by. Carlin trapped Wood lbw in the 25th over for 24 then Gibson, coming down the bank, bowled Prudhoe middle stump for 20. But O’Brien took the game by the scruff of the neck with an aggressive and well timed knock. Jack Jessop initially partnered him until he was bowled by the returning Graeme Angus in the 44th at 128-4. Skipper Williams tried to accelerate the scoring but fell in the 46th for ten as Ashington required 17 from the last four overs. The tension continued to mount with Gary Johnson bowling a maiden then with 12 needed from two overs, O’Brien completed his half century. Grant was caught by Hall at mid-off but Matty Storey smashed the first delivery he received through cover for four. With five required from the last over, O’Brien finished the game off in style as he hoisted the first ball for a huge six over the mid-wicket boundary. Match sponsor: Andrew Warnes (Cottage & Glendale Holiday Park, Cumbria). On Saturday (May 30), Ashington face Ponteland. The firsts travel to Callerton Lane with the second XI at home.